The University of Dubuque Women’s Track and Field program has enjoyed success on the conference and national levels as a member of the competitive American Rivers Conference (A-R-C). With over 100 All-Conference performers and seven NCAA Division III All-America honors, the women's indoor and outdoor track and field programs look to build upon their past successes on the midwest's premiere indoor and outdoor facilities. Over the past 10 years, the Spartan women have made it their mission to re-write the record books. With the help of a new coaching staff in 2011, the Spartans have reached new heights across the board. The Spartan women have been among the best in the Iowa Conference and in the nation and continue to leave their mark in the record books. The University of Dubuque track and field teams have qualified for 11 events at the 2019 Drake Relays which takes place Wednesday, April 24th through Saturday, April 27th. The University of Dubuque track and field teams cruised to two team titles at the 2019 UD Good Friday Open. The UD women won the team point title by 154.5 points and the men by 136 points. In route to the team titles, nine UD women won individual events and nine men took home event titles. If you're interested in track and field at the University of Dubuque, complete the prospect form, and a coach will be in touch. Naomi Amani Hurdles/Sprints Senior Minneapolis, Minn.
Alison Beeman Sprints Junior Lakemoor, Ill.
Kelsey Betthauser Throws Senior Ellsworth, Wis.
Olivia Costley Sprints Freshman Fall Creek, Wis.
Caroline Dochterman Jumps Freshman Sherrard, Ill.
Kati Eden Distance Freshman Stockton, Ill.
Caroline Ferguson Throws Sophomore Rapids City, Ill.
Edith Flores Distance Sophomore Delavan, Wis.
Jenna Heimark Jumps Junior West Bend, Wis.
Mackenzie Helgemoe Distance Junior Rubicon, Wis.
Shelby Hibbler Sprints/Jumps Sophomore Plainfield, Ill.
Danielle Johnsen Sprints Freshman Oswego, Ill.
Laura Klein Sprints Junior Burlington, Wis.
Isabella Mazzanti Distance Junior Woodstock, Ill.
Kayla McIntyre Sprints Junior Naperville, Ill.
Alyssa Skrove Jumps Junior Delafield, Wis.
Aleyha Slatter Sprints/Jumps Senior Janesville, Wis.
Tamya Vaultonburg Sprints Freshman Byron, Ill.
Destiny Wash Sprints Freshman Beloit, Wis. Outdoor Track: Competed in seven meets ... part of foursome that ranked No. 9 nationally in the USTFCCCA discus unit rankings ... throwing specialist tossed the javelin and discus ... set discus personal record at University of Dubuque Invitational 4/23) and javelin personal best at Norse Relays (4/9). Outdoor Track: Competed in nine meets ... part of foursome that ranked No. 3 nationally in the USTFCCCA hammer throw unit rankings and No. 9 in discus ... set personal record in hammer at IIAC Championships ... won first career discus event at University of Dubuque Invitational (4/23) with personal record. Indoor Track: Competed in eight meets ... threw weight throw in every meet ... set a personal best at the UW-Platteville Final Qualifying meet (3/4) of 14.61m/47-11.25 ... registered four Top-5 performances. Outdoor Track: Competed in eight meets, including the Drake Relays ... finished runner-up in the triple jump (10.53m/34'6.75") at the IIAC Championships ... won the triple jump at the Norse Relays ... set fourth-fastest 4x100m relay time in UD history in 13th place finish at Drake Relays (4/27-4/30). Indoor Track: Competed in seven meets ... triple jump specialist set a personal record (33'3.75") at the UW-Platteville Invitational (2/13). Apr. 6 Cornell Invite Mt. Vernon, IA 11a.m. Apr.12 UW-P Invite Platteville, WI 10:30 a.m.
Apr.13 UW-P Invite Platteville, WI 10:30 a.m.
Apr. 19 UD Good Friday Open Dubuque, IA 10 a.m.
Apr. 26 Grandview Viking Classic Des Moines, IA 11 a.m.
May 3 Loras Twilight Dubuque, IA 4 p.m. Hosted by The Spire Institute Geneva, OH 10 a.m. Hosted by The Spire Institute Geneva, OH 11 a.m.
Chad Gunnelson is in his eighth season leading the track & field and cross country programs at UD. Recently, he was awarded the 2017 and 2018 IIAC Men's Indoor Track Coach of the Year and USTFCCCA Central Region Men's Coach of the Year. He has lead the Spartans to unparalleled success since his arrival in 2011. In 2018, the Spartans men's track and field team claimed their second straight Iowa Conference Indoor Championship. It was the school's 13th league title in track and field. The Spartan women also posted their best point total at the IIAC Outdoor Championships, scoring 150.33 points for their best team finish in school history. At the national level, both the men's and women's teams achieved their highest ever NCAA team finish in 2018, the men 12th and women were 21st. Under the direction of Coach Gunnelson, the Spartans track & field team has had 52 NCAA qualifiers, earning 23 All-American honors and 3 National Champions (Blaze Murfin, Outdoor Shot Put, 2018; Tanasha Atwater, Outdoor Shot Put, 2017; Rick Valcin, Outdoor Pole Vault, 2014). The Spartans have crowned 90 IIAC Champions and 300 All-IIAC Performers in addition to breaking 69 school records in seven seasons. The cross-country program has had similar academic success with the men and women being named USTFCCCA All-Academic for the sixth and tenth consecutive years. On the course, they have placed 20 names to the UD Top-25 cross country performers list under Gunnelson including NCAA All-American Alec Bass (30th, 2016) and national qualifier Fabiola Ortiz (45th, 2016). Prior to his arrival at UD, Gunnelson, a native of Madison, Wis., spent six years as the Head Track & Field Coach at Madison East High School for both the boy’s and girl’s teams. At Madison East, Gunnelson coached 22 school record holders and back-to-back state champions in 2010 and 2011. In his final year with the Purgolders, the team earned a 3.24 GPA, had four sectional champions, and placed all four state qualifiers on the podium at the WIAA state meet, including a state champion. Along with coaching, Gunnelson was the owner and CEO of Athletic Republic, a sports performance training facility, from 2007 to 2011 where he built Athletic Republic into the largest training facility in the Madison area and trained youth, high school, college, and professional athletes along with Olympians. Coach Gunnelson is actively involved in the sport beyond coaching. 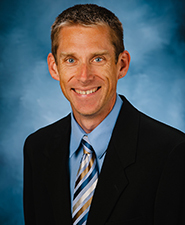 He serves as the central region representative on the USTFCCCA Division III track & field committee, the IIAC coaches' chairperson, and as the college coaches’ representative for the Iowa Association of Track Coaches. Gunnelson has spoken at high school clinics and the USTFCCCA National Convention. He currently holds the USTFCCCA Jumps Specialist Certification, Endurance Specialist Certification, Strength & Conditioning Certification, Track & Field Technical Certification, and Program Management Certification. He is also a Level 1 certified coach with USATF, a certified performance coach with USA Weightlifting, and is certified in the Functional Movement Screen. Coach Gunnelson resides in Dubuque, Iowa with his wife Melissa, their son Dash, and his step-children Taylor and Evan. Jake Malm enters his sixth year coaching the Spartan throwers, a group that has quickly become the most successful in school history. His group finished both the 2017 and 2018 seasons as the #1 ranked throws program in NCAA Division III. Under Coach Malm’s leadership, the UD throws group has dominated the Iowa Conference. Both men's and women's throws groups have set new program records for points scored at the IIAC Indoor and Outdoor Championships. The 2018 women’s throwers compiled an impressive 68 of UD’s 150.33 school record team points and the men 47 of 144 helping them to their best team finish in over 50 years. The 2018 season also showcased the UD throws group on a national level. The Spartans qualified six throwers to the NCAA Division III Indoor and Outdoor National Championships, earning eight total All-American honors, and crowned the 2018 NCAA Division III Men's Shot Put national champion. Malm has been named USTFCCCA Central Region Assistant Coach of the Year three times. Success in the throws has been shared among a deep group. Over the past five seasons, 35 different throwers have placed a total of 88 new marks on UD’s top-10 all-time performance lists, in addition to 11 of 12 school records being broken. 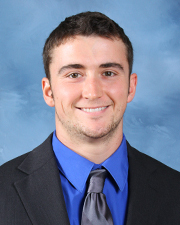 Prior to coming to UD, Malm assisted in the throwing events at Hamline University during the 2013 season while finishing his degree in Kinesiology from the University of Minnesota. While at Minnesota, Malm competed in the javelin and was a member of three Big Ten Conference championship teams. He currently holds a USTFCCCA Specialist Certification in the Throwing Events and Strength and Conditioning in addition to being a USATF Level 1 Coach. In 2016, Malm was invited to participate in the USATF Emerging Elite Coach’s Camp. Malm is originally from Grand Forks, North Dakota, and now resides in Dubuque, Iowa. Rich Maleniak enters his second season with the Spartans, and his first season as the head cross country coach. As the assistant track & field coach, he leads the middle distance, distance, and 400 meter runners for the program. In Coach Maleniak’s first year, six school records were broken in events 400 meters and up, and 26 marks in those events landed in UD's top-10 all-time list. The Spartan men won back-to-back Iowa Conference Championships in 2018 with 18 points coming from distance runner Alec Bass who won the 3000 meters and was runner-up in the 5000 meters. He mentored IIAC 400 Meter Champion Colfay Pointer to a new UD record in the 400 meters and an indoor and outdoor berth to the NCAA Championships. Prior to UD, Maleniak, a four-time USTFCCCA Central Region Assistant Coach of the Year lead the women’s middle distance and distance runners at the University of St. Thomas (UST) for five seasons. Throughout his tenure at UST, Maleniak helped runners gain conference, region, and national success in cross country and track and field covering events from 600 to 10,000 meters. At UST, Maleniak coached 29 individuals and relays to MIAC conference titles and 57 all-conference finishes. On the national level, Maleniak coached athletes to 20 - NCAA All-American performances in individual or relay events including back-to-back national titles in the distance medley relay (2015 & 2016) and a national championship in the indoor mile (2016). He has coached four USTFCCCA Regional Athlete of the Year award winners. Maleniak helped lead the UST women's cross country team to the NCAA Championships for three consecutive seasons (2014-2016). He also coached three individuals to All-American performances at the NCAA DIII Cross Country National Championships, an 8th and 22nd place finish in 2012 and 13th place finish in 2014. Before joining the St. Thomas staff in 2012, Maleniak spent the previous two seasons as a graduate assistant coach for the cross country and track and field teams at NCAA DI Illinois State University. While at ISU, he was responsible for on and off campus recruiting and implementing workouts for the distance runners. In 2011, women's cross country won their first Missouri Valley Conference title in program history. The Redbird distance crew also had six individual or relay Missouri Valley Conference champions in cross country and track and eight NCAA Regional Qualifiers. 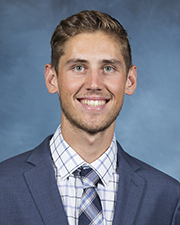 Maleniak began his college coaching career at the University of Wisconsin-Eau Claire as an assistant coach for the men's and women's track and field and cross country programs. Maleniak was in charge of developing workout plans for the 800 meter training group. He coached two NCAA All-Americans and his group set new school records in both the men's and women's 800 meter run and men’s 4x800 meter relay. He assisted with the women's cross country team as it improved from placing 12th at the NCAA Championship meet in 2006, to 8th place in 2007, and 5th place in 2008. 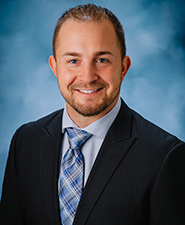 Maleniak earned his bachelor’s degree from the University of Wisconsin-Eau Claire in Chemistry with an emphasis in business in 2002, and earned a master’s degree in Sports Management from Illinois State University in 2011. As a competitor himself, he competed in five national championship competitions and was a 2-time NCAA Division III Track All-American. Maleniak also served as a team captain and was named MVP of the track team after his senior season. He is the UW-Eau Claire school record holder in the indoor mile and outdoor 1500 meter run. He also holds a U.S.A. Track and Field Level I certificate. Coach Maleniak resides in Dubuque, Iowa. Clayton Gray enters his first season leading the Spartan sprinters in 2018-2019 after competing as a Spartan himself. As an athlete, Coach Gray was a team captain and an NCAA qualifier in the men’s 4x100m relay team in 2018. He was a member of the Iowa Conference championship 4x100m relay team and a multiple-time All-IIAC performer and Drake Relays qualifier. He is ranked in the top-5 in UD history in the 55m hurdles, 60m hurdles, 110m hurdles, 4x100m relay and is a member of the school record shuttle hurdle relay team. Gray is a native of Manchester, Iowa and currently resides in Dubuque. He is currently completing his master's degree in communication. Coach Gray is First Aid/CPR/AED certified. Jordan Pingel begins his first season leading the Spartan jumpers, specifically the horizontal jumps for the men’s and women’s teams. 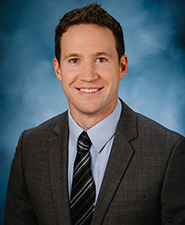 Prior to UD, Coach Pingel competed at the University of Northern Iowa where he was an All-MVC performer and a contributor to the Panthers MVC Championship in 2018. Pingel earned his degree in Kinesiology at UNI and was also honored as a scholar-athlete for the Panthers. Pingel, a native of Pella, Iowa, now resides in Dubuque where he is completing his master's degree in sports management. Coach Pingel is First Aid/CPR/AED certified. Matt Dwyer is in his second season leading the Spartan pole vaulters in 2018-2019. During his first season at UD, Dwyer mentored the IIAC Indoor Conference Champion in the pole vault, Ian Christ (native of Dubuque, Iowa), who began pole vaulting for the first time that season. During the 2017-2018 campaign, six All-time Top-10 marks were set in the pole vault under Dwyer’s leadership. Prior to UD, Dwyer had an All-American career at the University of Wisconsin-Platteville. He was a four-year letter winner, four-time NCAA qualifier, three-time WIAC conference champion, and two-time NCAA All-American for the Pioneers. He currently holds the UD facility record and his personal best mark is 5.19m / 17’0.0". Dwyer, a native of Palos Heights, Ill., is still an active and avid pole vaulter. 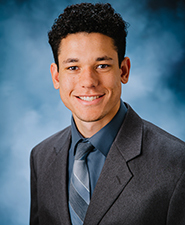 He currently resides in Dubuque, Iowa and works as an engineer at Rite-Hite. Coach Dwyer is USATF Level 1 and First Aid/CPR/AED certified. Ben Hildebrand begins his second season with the Spartan sprinters in 2018-19. In 2018, UD qualified both the men’s and women’s 4x100m relay teams for the NCAA Championships. The women’s relay set a new school record and came home with the Iowa Conference title in the event. The Spartans also crowned the 2018 women’s IIAC 100 meter dash champion. Also in 2018, the Spartan men were ranked 2nd in the nation over 200 meters, and 8th over 100 meters. In his first year, Spartan sprinters set 18 new top 10 all-time marks in the history books in races 200 meters or less. Coach Hildebrandt joined the UDTFXC staff with experience in the high performance sector as a performance trainer for elite, college, high school and youth athletes at Building Better Athletes where he still works today. His strong passion for athlete development and a love for track & field is seen each day at practice. Hildebrandt is a native of Sabula, IA is completing his teaching certification in the education program at the University of Dubuque. He is certified in First Aid/CPR/AED. Select a season for historical information and statistics. Behind the University of Dubuque women’s track and field team’s first-ever Iowa Conference Field MVP and All-American thrower, Tanasha Atwater, the Spartans and Head Coach Chad Gunnelson set a new school record with a third-place performance at the Iowa Conference Outdoor Championships. Overall, the Spartan women had three IIAC champions and nine All-IIAC performers and crushed their previous school records of fifth-place and 103.25 points, respectively. Atwater, who won the shot put and added a third-place showing in the hammer at the IIAC Championships, led a six-person throwing contingent that combined for five All-IIAC performances and 46 points as the Spartans tallied a school-record 124 points. Soon after, the sophomore qualified for the Division III National Outdoor Championships in the shot put and hammer throw and tied the highest-ever finish with a third-place finish in the shot put and 18th in the hammer throw. Two-time Iowa Conference Steeplechase champion, Fabiola Ortiz, snuck into nationals after re-setting her school record for the fourth time this season at the Augustana Last Chance meet. The junior placed 12th overall (11:06.55) at the national meet. Head Coach Chad Gunnelson and Division III Indoor national qualifier and lone Iowa Conference champion, Tanasha Atwater, led the Spartans to fourth at the Iowa Conference indoor championships. Atwater won the shot put with a school record toss of 14.09m/46-2.75 and placed third in the weight throw as the Spartan throwers accumulated 40 of the Spartans’ 82 points with seven, Top-6 combined performances in the shot put and weight throw. The sophomore also qualified for the Division III national indoor meet in Winston-Salem, N.C. where she placed 12th. The 4x800m relay of Fabiola Ortiz, Kayla Kinateder, Kiersten Wenthold, and Skylar Brooks also crushed a previous school record with a time of 10:00.62 and was one of six All-Iowa Conference performers in UD’s fourth-straight, Top-4 IIAC showing. 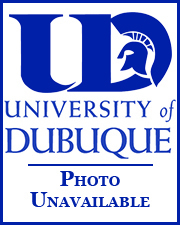 The University of Dubuque women's track and field team produced 15+ school records, three National outdoor Qualifiers, four Iowa Conference Champions, nine All-IIAC performances, and two team titles as they finished third indoors and fifth outdoors at the Iowa Conference Championships. Senior Nikki McKenzie won the triple jump for the second straight year with a leap of 36'2.75” and earned fifth place in the long jump amidst a plethora of runner-up performances by the University of Dubuque women’s track team. UD’s performances helped push the Spartans to a third-place finish at the Iowa Conference Indoor Championships (hosted by Wartburg). McKenzie’s title, the addition of three UD school records, and six All-IIAC performances led the Spartans to their second-straight, third-place IIAC indoor finish in a school record of 98 points. Sophomore Fabiola Ortiz continued her hot streak after breaking the school record in the mile (5:07.33) with a second-place showing and setting a new school record during a second-place finish in the distance medley relay (12:26.56) with senior Rachael Busjahn, who also set a school record in the 4x400m relay (4:02.62), Kiersten Wenthold, and Sybbie Sears. With the aforementioned records at the IIAC Championships, the Elgin, Ill. native set four school records in her final six races, including the 800m (2:18.73) and the mile twice. Going out on top was senior Rachael Busjahn, a member of the DMR team, who also set a school record in the 4x400m relay (4:02.62) with Brittany Burns, Katrina Pagel, and Sybbie Sears. Including her two school records at the IIAC Championships, Busjahn totaled four records after setting the 400m (58.49) and the 600m (1:42.68) marks earlier in the season. The Spartans collected nine school records on the year and won the Cornell Hilltop Invite on January 31 thanks to six, Top-5 performances in the throwing events. Fabiola Ortiz (3000m Steeplechase), Alexis Higgins (High Jump), and Nikki McKenzie (Triple Jump) all secured Iowa Conference titles and the Spartans placed fifth at the IIAC Championships with a school record of 103.25 points. The Spartans also collected seven All-IIAC performances and beat their previous point total of 79 points in 2014. Wartburg took home the team title with 257.50 points. McKenzie, a senior, won her third straight, IIAC triple jump title (2014 outdoor, 2015 indoor) and finished her career with five combined IIAC indoor and outdoor titles between the triple jump and the long jump. Ortiz’s time of 11:29.87 in the 3000m Steeplechase broke the school record and she teamed up with Melissa Todman, Skylar Brooks, and Kiersten Wenthold to secure the UD school record in the 4x800m relay (9:42.54) as well. Higgins high jump mark of 1.69m/5’6.5” on her third and final attempt secured her first IIAC high jump title and qualified her for the NCAA Division III Championship meet. The Cedar Falls, Iowa native was the highest of four Spartan qualifiers and placed 10th in the nation. Joining Higgins at the national meet was pole vaulter Amanda Sinkler, thrower Tanasha Atwater, and men’s pole vaulter Rick Valcin. Sinkler and Atwater, both All-IIAC performers, placed 18th and 20th, respectively, at the national meet. Valcin, defending his 2014 Outdoor Pole Vault National Championship, no heighted. The Spartans won their very own, nine-team University of Dubuque Invitational on April 18. UD edged runner-up Loras and the rest of the field by two points thanks to a triple jump title by Nicki McKenzie and nine runner-up performances. Seven school records were set throughout the outdoor season. It was the year of Nikki McKenzie after she took home three combined Iowa Conference broad jump titles, four All-IIAC performances, and eight school records in leading the University of Dubuque women's track and field team to record-setting performances in a third-place finish indoors and a fifth-place mark outdoors in both Iowa Conference Championships hosted by Luther. Junior Nikki McKenzie led a plethora of All-Iowa Conference performances after capturing both indoor long jump (5.20m/17'075") and triple jump (11.28m/37'0.25") titles to lead the Spartans to a new school record of 90 points and a third-place showing at the 2014 Iowa Conference Indoor Championships hosted by Luther College. The 90 points compiled by the Spartans eclipsed the old school record of 48 points in 2010 and led the Spartans to their highest finish in school history. Despite the records, UD trailed host Wartburg, who racked up 282 points en route to the IIAC title. McKenzie was the catalyst after winning both broad jumps by a combined 8.25" to earn her first pair of Iowa Conference individual championships. She wasn't done after teaming up with Rachael Busjahn, Brittany Burns and Amanda Zbilski to earn All-Iowa Conference honors with a third-place finish in the 4x400m relay (4:06.34). The junior took home the Spartans only IIAC titles, but anchored 10 total All-IIAC performances. It was more UD All-IIAC selections than in the first six years of IIAC indoor track combined. Garnering All-IIAC field honors was the trio of Brenda Breimon (Pole Vault), Katelyn Herbig (Weight Throw), and Alexis Higgins (High Jump), who each secured runner-up performances. Busjahn rounded out the record-setting All-IIAC performances with a third-place showing in the 400m. It was arguably the most successful indoor season in school history after record-breaking finish at IIAC Champinships and racking up a total of 10 school records, including four by McKenzie, throughout the year. McKenzie was back at it again after defending her Iowa Conference triple jump crown with another victory outdoors to help the Spartans set another record-breaking performance of 79 points in a fifth-place finish at the 2014 IIAC Outdoor Championships hosted by Luther College. It was the highest finish in school history, improving upon a sixth-place showing a year ago. Once again, McKenzie was the key cog for the Spartans as a part of three additional All-IIAC performances in the 4x400m relay, 4x100m relay, and the long jump, including three school records in each. The Hoffman Estates, Ill. native also added a school record in the 4x200m relay as well. The multi-faceted Rachael Busjahn backed McKenzie up in the 4x200m and 4x400m relay, blazed to a school record in the 4x800m relay, and earned All-IIAC honors in the 400m dash. Other highlights at the IIAC Championships include, Brenda Breimon taking control of the pole vault with a school record of 10'8.25" in a second-place showing and Amy Tranel shattering the school record in the javelin in her runner-up performance. The Spartans continued their record-setting 2014 season after setting seven school records during the outdoor campaign. Ranita Anderson, Carson Bainbridge, Ashley Barwick, Megan Bloedow, Randi Bodish, Brenda Breimon, Rachael Busjahn, Whitney Canfield, Taylor Cary, Jamyia Catchings, Chantel Christiansen, Nicole Cihocki, Nicole Forson, Jordyn Gargus, Shaina Hanson, Katelyn Herbig, Alexis Higgins, Leigha Hodge, Samantha Holen, Rebecca Kuhle, Kelsey McCreight, Nickolette McKenzie, Brenda Nava, Sade Pointer, Angela Renfro, Melissa Sawyer, Caitlin Simbeck, Tieisha Starks, Amy Tranel, Kim Trinco, and Veronica Wellman. The University of Dubuque Women's Track and Field team finished in sixth place with 38.5 points at the 2013 Iowa Conference Indoor Championships and sixth place with 50 points at the IIAC Outdoor Championships for head coach Chad Gunnelson. INDOOR: Nikki McKenzie earned All-IIAC in the Triple Jump with a third place performance. As a team, UD set five school records including three relay records. OUTDOOR: McKenzie was a two time All-IIAC performer with second place performances in the Long Jump and Triple Jump. Brenda Breimon was second in the Pole Vault to earn All-Iowa Conference. As a team, UD set four new school records outdoors with all four being in relays. Indoors: Brenda Breimon-Pole Vault, Katelyn Herbig-Weight Throw, 4x400m Relay, 4x800m Relay, and 4000m Distance Medley. Outdoors: 4x100m Relay, 4x200m Relay, 4x400m Relay, and 4x800m Relay. Ashley Barwick, Samantha Holen, Rebecca Kuhle, Kelsey McCreight, Nickolette McKenzie, Brenda Nava, Sade Pointer, and Melissa Sawyer earned Academic All-Iowa Conference. Barwick would later be named First Team Capital One/CoSIDA All-District and Second Team Capital One/CoSIDA All-America. Front Row: Rebecca Kuhle, Melissa Sawyer, Megan Bloedow, and Kelsey McCreight. Middle Row: Beth Michaelis, Brenda Nava, Caitlin Kelly, Ranita Anderson, and Jamyia Catchings. Back Row: Bridget Hosley, Nicole Cihocki, Katelyn Herbig, Rachael Busjahn, Monica Tembe, Nickolette McKenzie, and Tieisha Starks. The University of Dubuque Women's Track and Field team finished in seventh place with 34 points at the 2012 Iowa Conference Indoor Championships and eighth place with 27 points at the IIAC Outdoor Championships for first year head coach Shannon Zweifel. INDOOR: Bridget Hosley earned All-IIAC in two events with a second place finish in the 60m Dash and third place in the 400m Dash. OUTDOOR: Hosley finished third in the 400m Dash to earn All-IIAC. The 4x100m Relay team of Hosley, Rachael Busjahn, Nickolette McKenzie, and Tieisha Starks finished third to earn All-IIAC. Hosley finished 11th overall in the 60m Dash at the NCAA DIII Outdoor National Championships. Kaylee Carter and Rebecca Kuhle earned Academic All-Iowa Conference. Megan Bloedow, Kaylee Carter, Nicole Cihocki, Melissa Englert, Courtney Frederick, Bridget Hosley, Jessica Jentz, Caitlin Kelly, Bethany Michaelis, Megan Michaelis, Tieisha Starks, Michelle Strickland, Jaimie Strobel, Jasmine Taylor, and Tiffiny Wynn. The University of Dubuque Women's Track and Field team finished in ninth place with 16 points at the 2011 Iowa Conference Indoor Championships and ninth place with 14.5 points at the IIAC Outdoor Championships for head coach David Thompson. INDOOR: Michelle Strickland finished second in the High Jump at the IIAC Championships to earn All-IIAC. Strickland just missed All-American honors with her ninth place finish at the NCAA DIII Indoor National Championships. OUTDOOR: Strickland earned All-IIAC with her third place finish in the High Jump. Strickland finished 19th at the NCAA DIII Outdoor National Championships. Nicole Cihocki, Melissa Englert, Beth Michaelis, and Megan Michaelis earned Academic All-Iowa Conference. Megan Bloedow, Cherise Burrage, Nicole Cihocki, Jena Darwin, Ilse Dupreez, Ebony Craig, Melissa Englert, Raven Foxx, Cellese Griffin, Bridget Hosley, Bethany Michaelis, Megan Michaelis, Alicia O’Connell, Britney Smith, Michelle Strickland, Jasmine Taylor, Monica Tembe, Katherine Tipping, and Tyana White. The University of Dubuque Women's Track and Field team finished in seventh place with 48 points at the 2010 Iowa Conference Indoor Championships and seventh place with 44.5 points at the IIAC Outdoor Championships for head coach David Thompson. INDOOR: Ebony Craig earned All-IIAC by finishing second in the Triple Jump and third in the Long Jump at the IIAC Championships. Bridget Hosley (55m Dash) and Michelle Strickland (High Jump) each finished in second place to earn All-IIAC honors. Hosley qualified for the NCAA DIII Indoor National Championships in the 55m Dash. OUTDOOR: Craig repeated her success from the indoor season with a second place finish in the Triple Jump and third place finish in the Long Jump at the IIAC Championships. Holsey also earned All-IIAC in two events with her second place finish in the 100m Dash and third place finish in the 200m Dash. Strickland finished second in the High Jump. Craig went on to earn All-American status with her seventh place finish at the NCAA DIII National Championships. Hosley also qualified for the championships in the 200m Dash. Megan Michaelis earned Academic All-Iowa Conference.